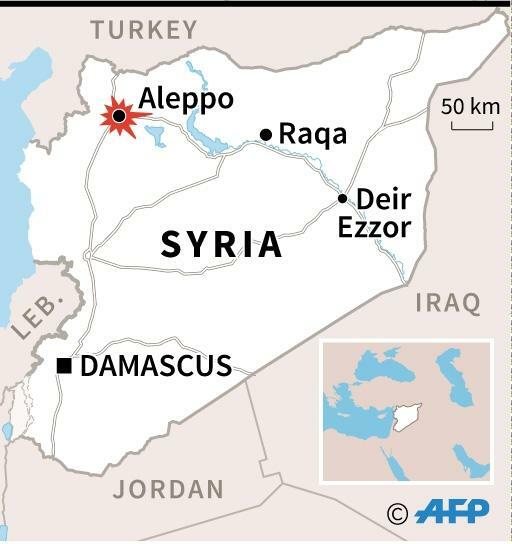 Beirut (AFP) - Syrian government forces on Tuesday seized a rebel-held neighbourhood in the northwest edge of Aleppo, tightening their siege of opposition-controlled parts of the city, a monitor said. 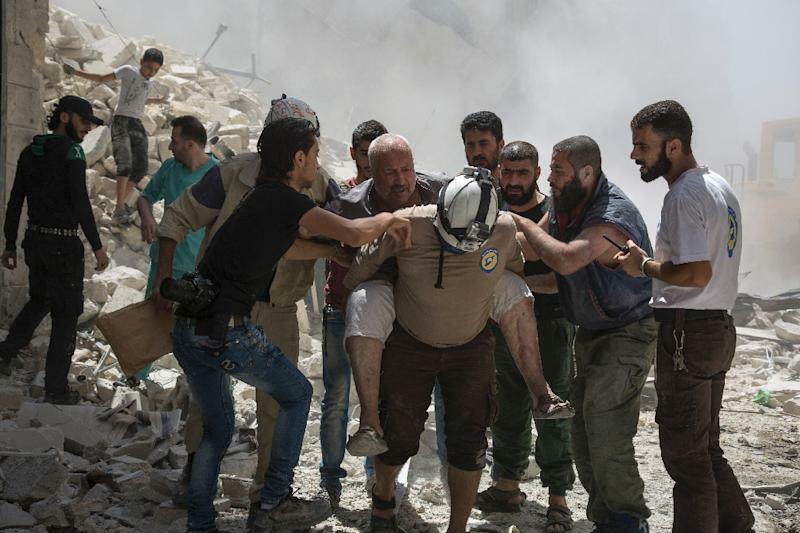 The government also carried out renewed barrel bomb attacks on opposition-held districts, a day after bombardments killed at least 24 people, the Syrian Observatory for Human Rights said. The Britain-based monitor said regime troops had full control of the Leramun district after heavy clashes. It also reported intense fighting for neighbouring rebel-held district of Bani Zeid. The two areas have been used by rebels to launch rockets into government-held districts in the city's west. In recent weeks, regime advances have severed the only remaining route into the rebel-held eastern neighbourhoods, effectively placing them under siege. Opposition forces have responded by firing missiles into government districts, killing scores of civilians. "The importance of capturing Leramun and Bani Zeid is to stop the missile fire and also to further tighten the siege," said Observatory director Rami Abdel Rahman. He said government forces had now surrounded Bani Zeid, reporting heavy air strikes in the area and clashes. The monitor had no immediate toll in the fighting. Government forces effectively severed the opposition's main supply route on July 7, when they advanced to within firing range of the Castello Road. They have since tightened the encirclement of the rebel-held east, taking parts of the road itself and causing food shortages and spiralling prices in opposition neighbourhoods. Syria's Al-Watan daily, which is close to the government, also reported advances in Leramun, an industrial area that once housed scores of factories. State news agency SANA broadcast a call from the military urging residents of eastern Aleppo to "join the national reconciliation and expel the foreign mercenaries" from their neighbourhoods. It said the army had sent text messages to residents and fighters in the east urging rebels to lay down their weapons and identifying "safe passages" for civilians wishing to leave. 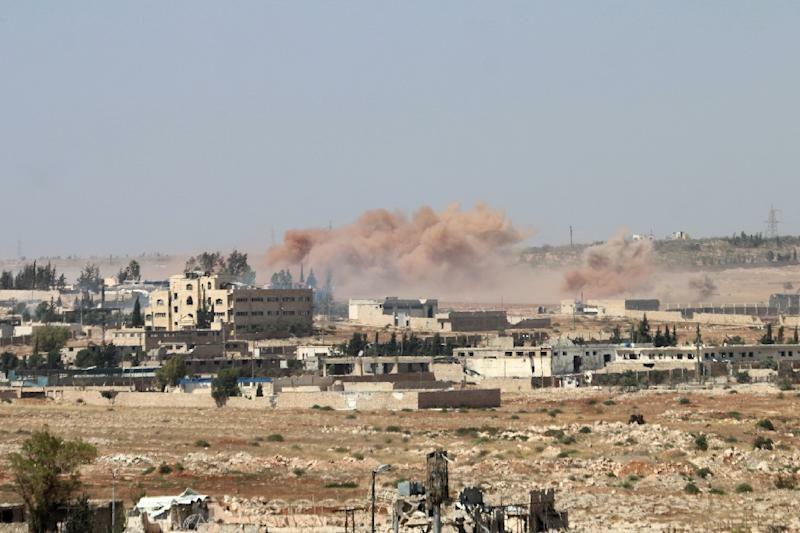 Government forces continued to pound opposition areas on Tuesday, with the Observatory reporting a new barrel bomb attack on the district of Al-Mashhad. It said five civilians including three children were killed. On Monday at least 24 people, including five children and two women, were killed in a barrel bomb attack on the same neighbourhood, according to a new toll from the Observatory. A statement from the UN children's agency UNICEF on Tuesday condemned weekend air raids on four hospitals in Aleppo, calling them "a blatant violation of international humanitarian law" that may amount to war crimes. On the humanitarian front, a 48-truck aid convoy on Tuesday entered regime-besieged Talbiseh in Homs province with food and other supplies for 40,000 people, the International Committee of the Red Cross said. More than 280,000 people have been killed in Syria since the conflict began in March 2011 with anti-government protests that were met with a regime crackdown.